One of the questions from my Q&A post was this: How did you get into blogging? I took an English class on memoirs, and as part of our classwork each student had to start a little blog. Each week we had to write a post reflecting on the memoir we were reading, and then we had to read five other people's posts and leave them comments. I really enjoyed the dialogue that ended up happening through the blogs (it was way more insightful than in-class discussions tend to be), and I enjoyed the quick-and-casual writing style of my blog posts. I got hooked on Weddingbee. I was almost engaged at the time (but knew it was coming), and I loved the daily blog posts on Weddingbee... such a wealth of creativity and ideas! I thought blogging seemed like a great creative outlet. 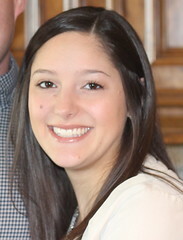 When I first started, I had no idea what I was doing. The blog had no purpose and no direction, but I just wrote it. I didn't tell anyone other than Jeff that I was writing a blog for a while. A lot of the posts at the beginning were so ridiculous that I eventually went back and deleted them. Some of the ones that are still there are pretty ridiculous too (and now you're all going to go read them and see how awkward at blogging I used to be... don't make fun of me, okay?). It was at least a year before I really found a "blogging voice" and a niche of things I like to write about. When Jeff and I got engaged in December 2009, I immediately started to treat Spirals & Spatulas as a wedding blog. I didn't want to be constantly talking about wedding planning all the time in real life (I didn't want my friends to get annoyed with me), so the blog became my outlet for wedding stuff. During the wedding planning phase, Spirals & Spatulas really started to get more readers. My friend Amy started sending Facebook messages to everyone she knew telling them that they should read Spirals & Spatulas, and I think my first 20 or 30 followers were all thanks to Amy. Haha! I eventually started blogging for Best Bridal Blogs, and a lot of my early readers found me through there (are any of those people still reading? I feel like my readers have changed a lot since then). After the wedding, I didn't really know what to do with the blog. I recapped the entire wedding, which that took a couple months, and then I just kind of kept going. 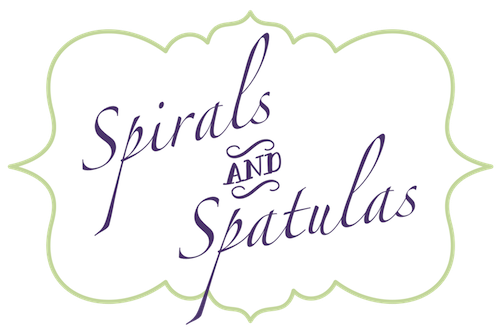 I never really sat down and decided that Spirals & Spatulas would become a DIY/recipe/home-decor/life-in-general blog (in fact, I think I originally intended to just stop after the wedding), but I was hooked on writing blog posts, so I just kept writing them! Eventually, blogging replaced scrapbooking for me as a way to document our lives, and now I just write about whatever's going on! I don't know if I'll blog forever, but it's something I really enjoy and it gives me a reason to write, which I love. I sometimes think that once I get out of law school and start working full-time the blog will fade away, but who knows what will happen! For now, I sure love sharing all my DIY projects and recipes and random moments with you all! We're definitely glad to have you, silly ridiculous early posts are not! ...posts OR not! Whoops, should've proofread!